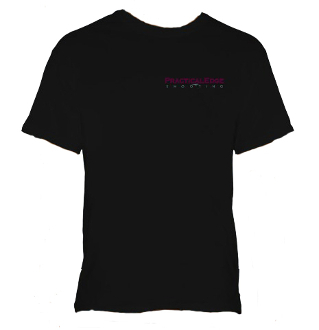 Practical Edge Shooting Mens T-Shirt. Black shirt with logo on front left chest and image on back. Made from 5.3 oz 100% preshrunk cotton.